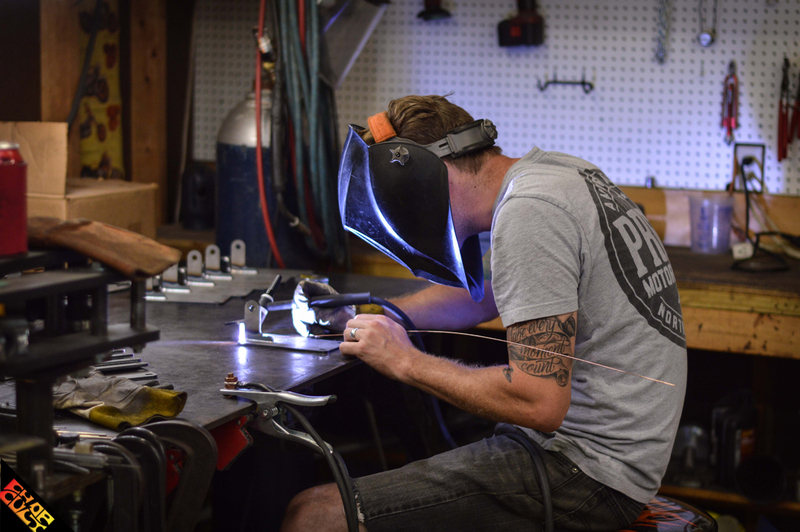 21 Questions with Jake Hindes of Prism Supply Co.
Have you ever watched someone from afar and dug everything they did? I have and for me it was Jake and Zach Hindes of Prism Supply Co. I was first introduced to the Prism Supply Co. brand via Instagram and the very short-lived BikerLive television show. 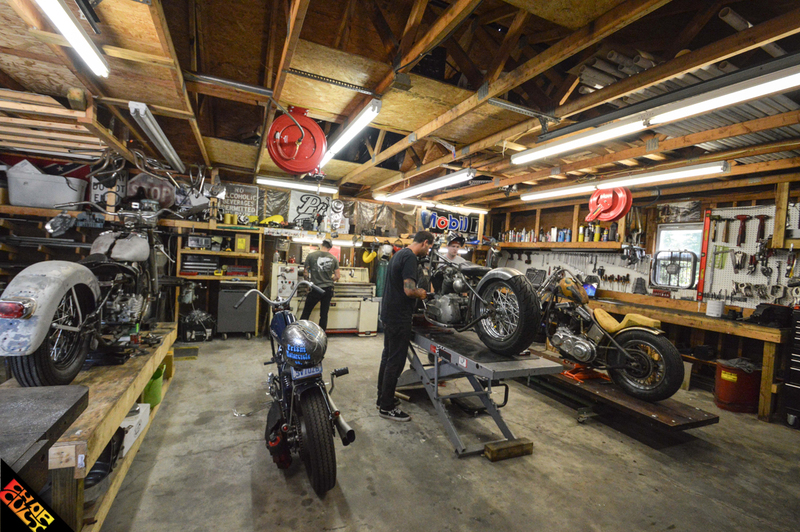 Jake and Zach went to the school of tradition by learning the trade in their grandfather’s and father’s garage. No tech books needed, just years of knowledge passed on from one set of hands to another. Jake and Zach have taken those lessons and continue to move the Hindes’ legacy forward today. The only thing that has changed is the name of their shop. 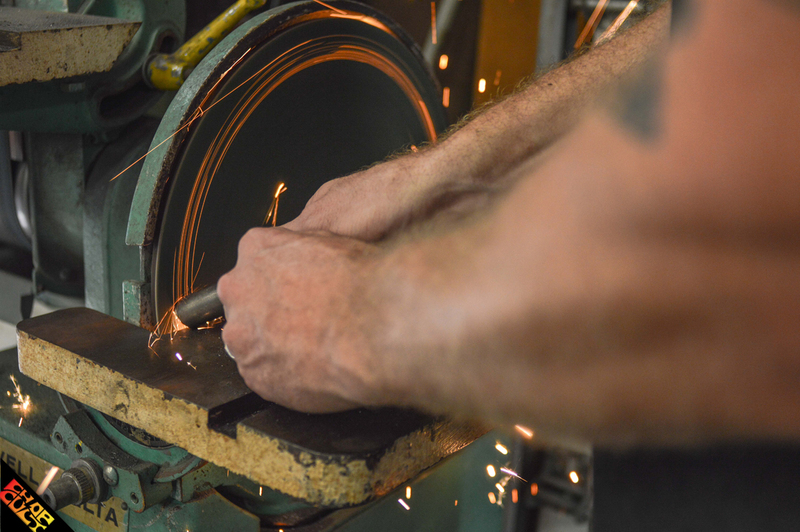 Prism Supply Co. continues to use tools from the past and hopefully will be passed on to the next generation of Hindes. Jake and Zach have been chosen as Born-Free 8 Invited Builders and I can’t wait to follow their process. Their shop is very busy at the moment, so it was hard to get both of the brothers' time. Thankfully, Jake helped me with this feature. Please take a moment to get to know Prism Supply Co.
Do you have co-workers? If so, what are their roles within Prism? Yes. Other than Zach and I working in the shop, we have our good buddy Rob. He does pretty much everything. 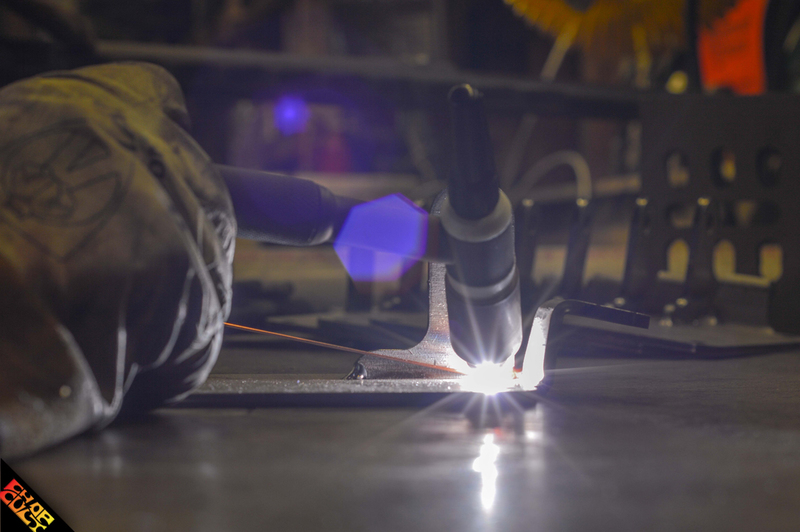 Machining, welding, maintenance, photography, etc. You name it, he does it! We also have our good friends Peter, Derek, and Josh that we will call in when we get really busy or when we have a crazy deadline to meet. Like with the whole #Bikerlive deal. Riding Buddies? Charlotte is booming. There are so many of us we don't even want to begin to list them. When was your first time on two wheels? My dad swears I learned to ride (without training wheels) at the age of three and Zach at the age of four. We had two bikes. I rode this extremely small 40cc blue Indian and Zach rode the chrome edition Honda Z50. First hand-built motorcycle? I think this will count. Zach built a GoKart with a 1000cc GSXR engine at the age of 17 or 18. You couldn't even keep the tires locked on it. It was WAY too fast. When I turned 18, I bought a 1971 Honda CB350 that I rode stock for about two months until Zach and I realized that we could build it way cooler. What was your earliest two-wheeled adventure? I was 19 and rode my 1974 CB360 to Larry Pierce's Dixie Round-up. What was your recent two-wheeled adventure? A few weeks back a group of us Charlotte guys rode to the Smokey Mountain Chopper Fest. Who were your influences growing up? Grampy, Dad, Dale Earnhardt, and Hulk Hogan. 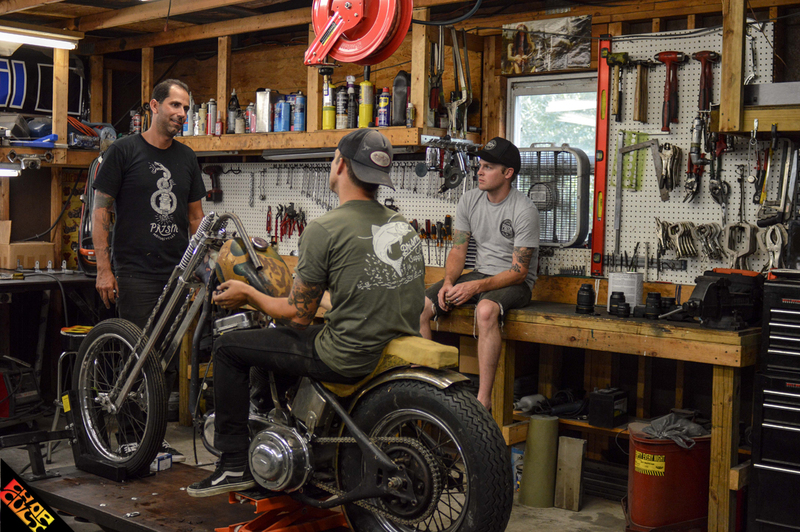 Why did you decide to change the name from Prism Motorcycle Co. to Prism Supply? We really didn't want to limit ourselves to just being a "motorcycle" company. We didn't want to cap ourselves by just selling motorcycle parts/ services. We realized that there was a lack of quality made clothing and motorcycle accessories so we wanted to expand the company to encompass all things motorcycle related. i.e. Goods/ accessories that people in this culture desire; shirts, leather goods, tool rolls, shop aprons, key chains etc... What a lot of people don't know is that we really dig the traditional car culture. We've had thoughts of branching into this scene. We're still not sure we will go this route but, we wanted to keep our options open. Current project bikes? 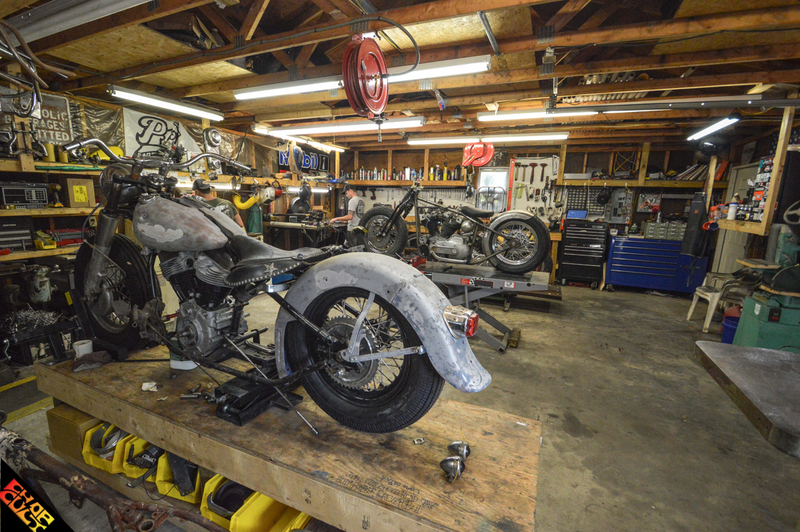 We recently just finished a 1934 Harley RL that went to our friends over at Devolve Moto in Raleigh, NC. 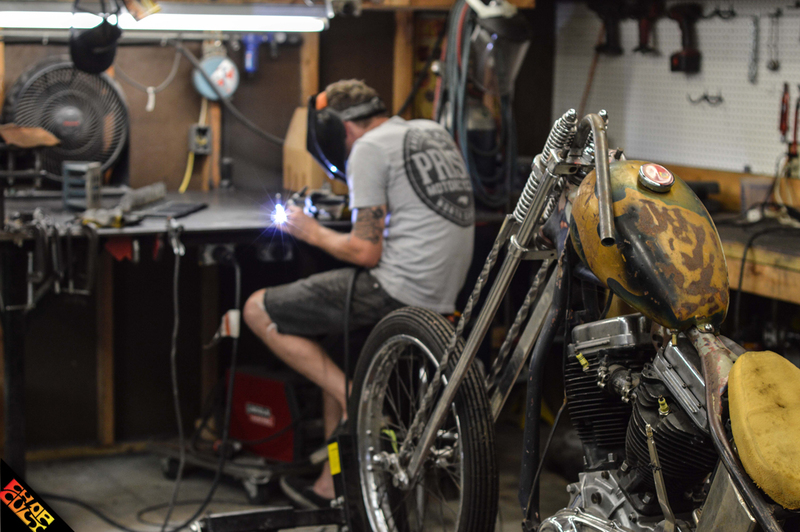 Our biggest project now is our 1941 Knucklehead for Born-Free Invited Builder. (We are looking for a buyer for this if anyone is interested) As far as other projects go, we are working on a couple panheads, 1947 knucklehead, a couple Hondas, and a sportster. What parts do you create? We can create almost any part. The parts we sell the most of are: Taillights, Handlebars, Electrical Kits, Jockey Shifters. Tools you wish you had but don’t? Pullmax, CNC lathe, CNC Mill. Tools you have and wish you didn’t? You can never have too many tools. Most people dream about being on television. Do you feel BIKERLIVE helped your business and brand move forward? BIKERLIVE definitely boosted our confidence as a company and kept us motivated to keep on pushing through! We definitely don't regret being on BIKERLIVE. We just wish they would have shown the true craftsmanship that we put into that bike. What music do you listen to while you work? Psychedelic rock, blues, and old western country. The Black Angels, The Black Keys, Hank Williams. Proudest moment? I can't say we have one proudest moment, but here are a few proud moments: Pursuing our dreams. Getting married to awesome women. Creating the best group of friends we could ask for. Darkest secret? That's a secret! Deepest fear? Getting old and being upset with the way we lived our lives. Biggest regret? We don't have any regrets. Everything happens for a reason. The reason for being? To share the meaning and purpose of our lives with this crazy world. If you lost your right arm? I'd go crazy. Ask my wife, she knows. Thanks to: The man upstairs, our families, friends, customers, and anyone who has believed in us! Prism Supply Co. from Rob Russell on Vimeo.